Product development teams are increasing the number of products they produce to meet exacting market needs while shrinking time to market. That drives additional complexity, which in turn tests project management to the limit. 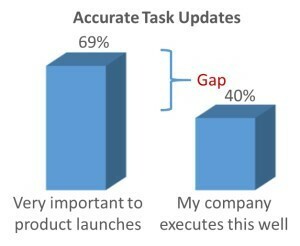 Which project management activities are important to successful product launches? How effective are their companies at those activities? What systems do they use to manage their project management activities? Complete the form on this page to download your free white paper.